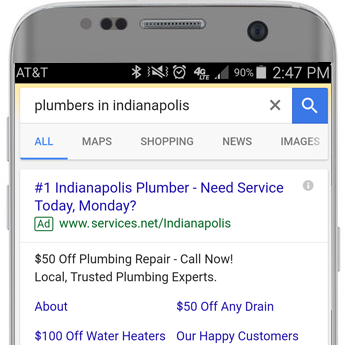 Peak XV Marketing, an Indianapolis-based digital marketing agency, is built around a local-and-mobile-first digital strategy driving people from online to in your store. We know you're focused on building your business that's why we developed ready-to-go digital packages including everything from creative, running campaigns and optimizing them to drive in-store sales. Potential customers spend 1 in every 5 minutes on their mobile phone using Facebook. Are you in front of the people in your neighborhood? Peak XV Marketing’s proprietary social software allows us to intelligently automate social ad creation and Facebook ad campaigns. We focus on reaching potential customers on Facebook because it’s where they spend the majority of their time online. In fact, we’ve already driven tens of thousands of local in-store sales. Are you ready to start generating exclusive leads for your home maintenance business? Our proprietary full-service program reaches homeowners on Facebook and drives them to call you. Our lead generation program through Facebook is always on and adds weather or crime triggers. When the weather changes or crime hits we put you in front of homeowners in impacted areas. 50% of people who did a local search on their mobile phone visited a store within a day. Potential customers search everyday to find local services, food or information. 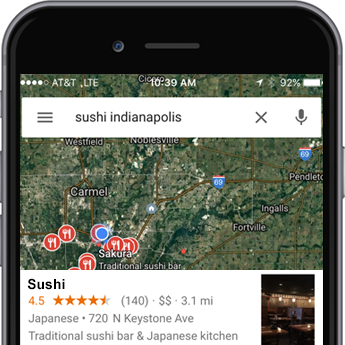 At Peak XV Marketing we turn local searches on Google into in-store visits to your business. We optimize and manage your search keyword campaigns with our core focus on driving in-store sales.